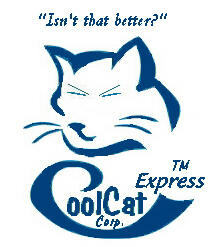 The CoolCat(tm) Fan Switch is a bolt up replacement for the stock Otter switch for Series 3 E-Types. The The aluminum adapter tube replaces the stock coupling tube in the lower radiator hose. The thermoswitch is a modern 22mm switch, as found in many German cars. The "on" temperature is 175F, and it's accurate within five degrees. Replacements are inexpensive and plentiful.